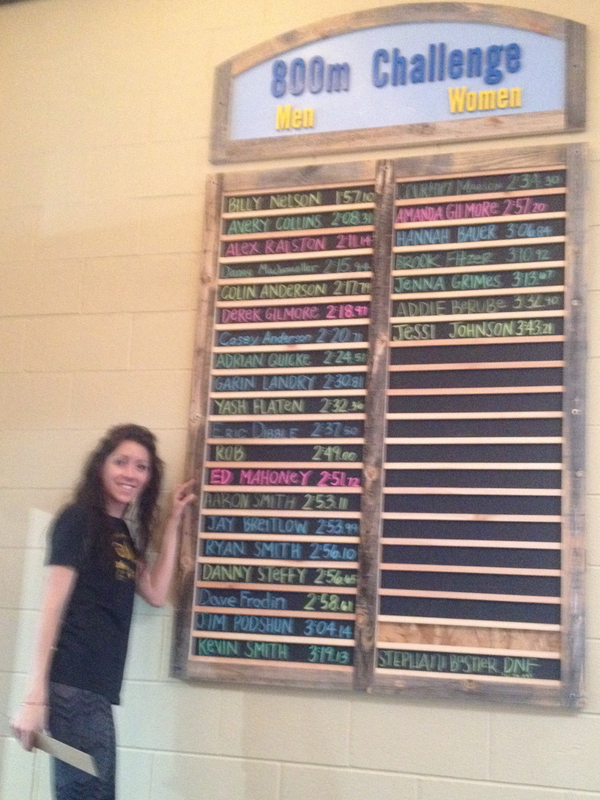 I made the board tonight at Shoes & Brews. Ashlee timed me running 800 meters (a half mile) in 2:51:72. This means all I pay for a pint of beer is $2.51. That is, until I drop off the bottom of the board. Last Thursday this board was only three quarters full. And I can see several of the runners have already improved upon their original times. This is shaping up to be a speedy summer. Click on the pic for full resolution. Women runners are on the right, and as you can see – there’s still room. You can stop by any day for a time trial, but the Thursday night social run might give you some spectators. I haven’t raced a half mile since high school. 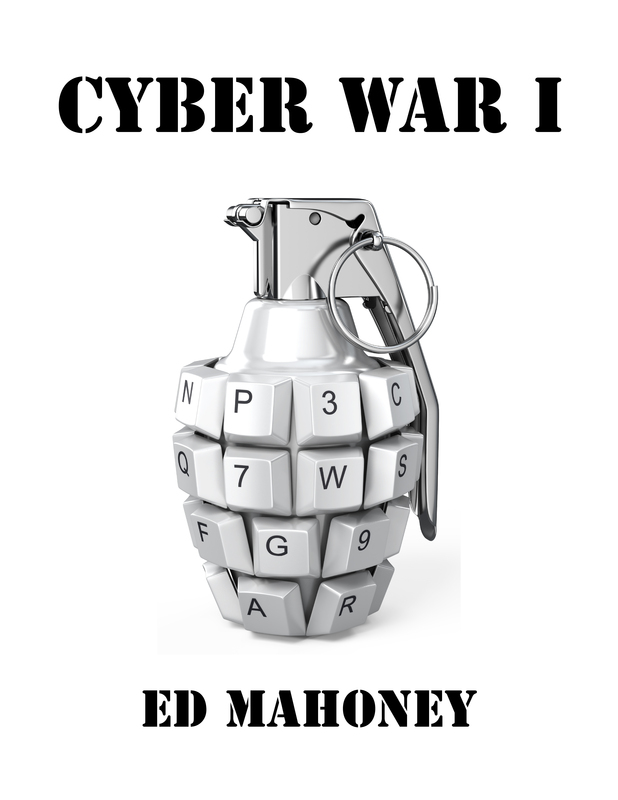 We had a deep pool of talent, with about six of us who could run two minutes or under. 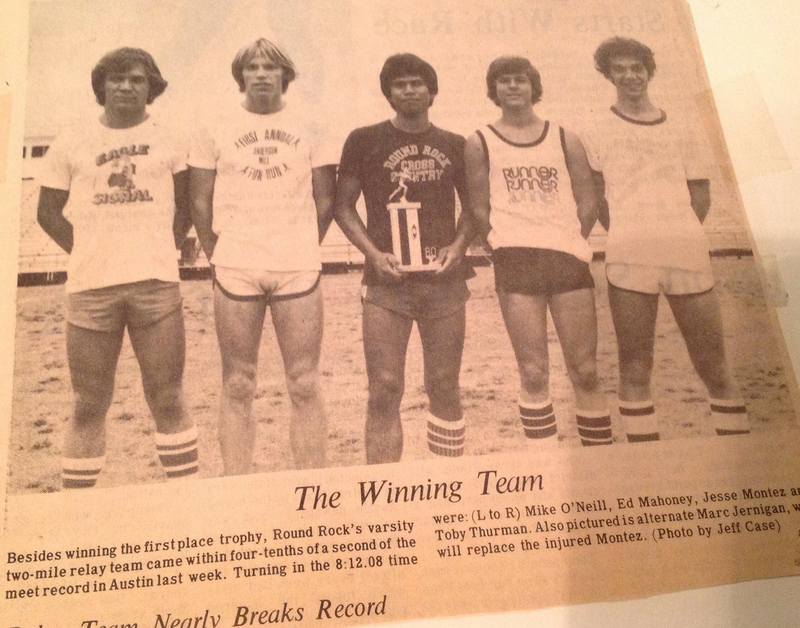 We won every 4×800 relay race my senior year except the Texas Relays. This is part of my team in this photo. My run today brought back memories of just how painful it is to race 800 meters. The Shoes & Brews course runs west down Boston Avenue. There’s a bend in the road at roughly 200 meters. I was in complete oxygen debt by this point. I lengthened my stride to recover somewhat until the 400 meter turn-around. I couldn’t speed up there either, but was able to put on a bit of a kick for the final 200 meters. I only ran 4 seconds slower on the return which isn’t too uneven a pace. I suspect I’ll need to race this every one or two weeks to stay on the board. Looking for some buddies to pace me. And race me.